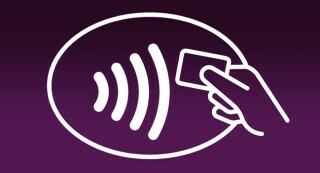 Contactless Spending Increases As The Card Payment Limit! Barclaycard has come up with a new finding on the contactless spending behavior of the people of UK. The fact states that the consumers paying for the services through the contactless cards have soared to 150% in the last 12 months(it has trebled in this time period) and if we see it by value then the increase in the number of transaction is as high as 134%. Which region is making most of it? The three most outgoing cities who have increased their spending through the contactless cards are Leeds with an increase of 211%, Blackpool- 200% and Newcastle- 192%. What is more intriguing is that London is stepping swiftly and taking the lead with 40% of the people making contactless transaction, which earlier in 2014 was just three in ten. The reason for such a rise is the convenience it offers to the travelers, commuters to pay for the travelling in buses, tubes and trains. The spending on the contactless cards increased from £2.32bn £2.50 bn in the first half of 2015 and 9.3 m contactless cards were issued between January and June and the whole thing led to around 69 m cards in circulation. Besides this, the tech company Apple has announced that the users can make contactless payment through its device and thus enhancing the effect even more. The payment terminal would be revised to give way to the new limit but the card users have the choice to limit their usage to a lower limit, according to their needs. It was introduced in UK in the year 2007 and since then the use of the contact payment option is bulging. The payment limit was set to £ 20 in order to avoid any large amount being spent by thieves in case the card was stolen, but now with the increase in the payment limit to £ 30 (The UK cards association announced this due to a large number of consumers using this technology), and this has been given a thumbs up by the ardent spenders in the UK. It is a simple payment option that lets you have the feel of ‘touch and go’ because it doesn’t need the pin entry and thus making it a faster payment option. The speculation have been doing a round that there would be a rise of 57% of people who would embrace the use of the contactless payment, after the announcement of the increase in the payment limit to £30 and also the use of this technology would penetrate many businesses. What has come out as a fascinating statistics is that the women have step by step modulated in using the contactless payment option than the men. In 2014, they accounted for 36% of the total contactless customers which has increased to 45% in the year 2014 with a great scope to see this figure soar even more in the near time. In addition to this, what is good to know is that from the total number of the contact less payment 50% of the users are above the age of 50 or more! this not only lets us believe that people are adapting to the newer technology faster but technology has been successful in making life of the people comfortable and convenient. Supermarkets have around 29% of the share of the contactless spending of all the transaction. The average a consumer spends on the super market purchase is around £ 23, that will be accommodated in the limit increase. This limit increase would further elevate the buyer’s experience and make the payment option more preferable. Second comes the restaurants where the countless spending is 20% and the third category belongs to the commuters with the share of 18-19%. The findings also revealed that people are now going out for drinking and eating more than they were going an year back. There has been a surge of 13% in the customers going out to restaurant to have good time. This increase is also facilitated by the fact that every time a consumer goes out to eat he spends around 5.6% less than he was doing earlier thus increasing the likeliness of using the contactless payment option more and also boosting the consumer visit. Also, now it is the right time that every kind of business- small, medium or big take a leap and start accepting this mode of payment. Check for the business category where contact payment is doing a stir. Barclaycard unveiled its new range of product of bPay wearable devices in the form of a wristband, fob and a sticker that can be used to make the contactless payment feasible to 300,000 terminals across the country. They have also experimented with the ‘gloves’ in the Christmas period where a shopper just needed to wave his hand in front of the contactless point for sale. Not far that this will work in the blink of an eye! So, wait for more and look for more as the limit is hiked along with the coming up of high value payments (where the user can make payment of more than £30 using the mobile combined with chip and pin authorization) would be just a normal thing to do. Well, with nothing to lose and convenience taking over the lives, this method is a comfortable option for both the users and the businesses.